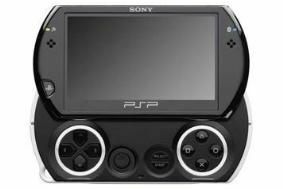 Sony PSP Go on sale today for £225 | What Hi-Fi? First unveiled at the E3 Expo in LA in June, the spec includes a 3.8in slide-out screen, 1GB of flash memory, expandable by memory stick, and built-in Bluetooth – but no UMD drive. New MediaGo software will make it easier to transfer your movies and music from your PC to the PSP Go, and it will also benefit from the recently announced digital reader due to launch in December with Digital Comics. Check out our Sony PSP Go blog for more pictures, and our sister site Stuff.tv's hands-on video.